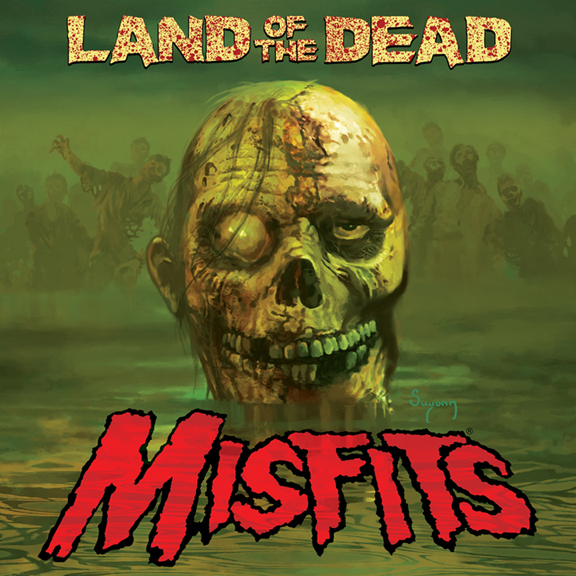 Features the 2009 Single Versions (the debut recordings) of the tracks “Land of the Dead” and “Twilight of the Dead” performed by Jerry Only (Bass/Vocals), Dez Cadena (Guitar) and Robo (Drums). The release marks the final recordings to feature classic era Misfits drummer Robo in the lineup, prior to his retirement in 2010. This Ltd. Ed. 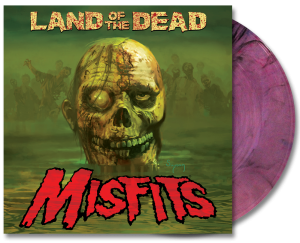 12-inch LP maxi single showcases an incredible cover painting by Arthur Suydam (Marvel Zombies) ferociously rendering the Misfits iconic “Fiend Skull” in homage to the zombie films of George A. Romero, with concept and art direction by John Cafiero. 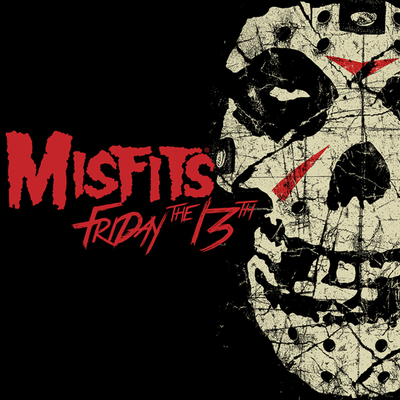 The artwork is appropriately suited as both songs (“Land of the Dead” and “Twilight of the Dead” written by Misfits founding member Jerry Only), were inspired by the acclaimed director’s living dead series. Tour Variant Edition limited to 1,000 pcs on clear Orange vinyl was available exclusively at live Misfits shows (starting Oct 30th, 2009), while supplies lasted. The orange vinyl was not sold online and not available in stores. All vinyl editions had long since SOLD OUT but the “Land of the Dead” 12-inch maxi-single returned in 2016. 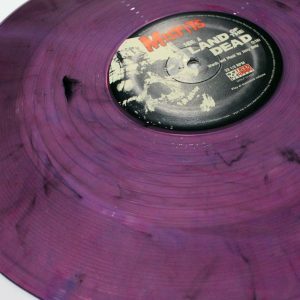 A Misfits Records Online Exclusive Edition was pressed in Translucent PURPLE vinyl with BLACK streaks. 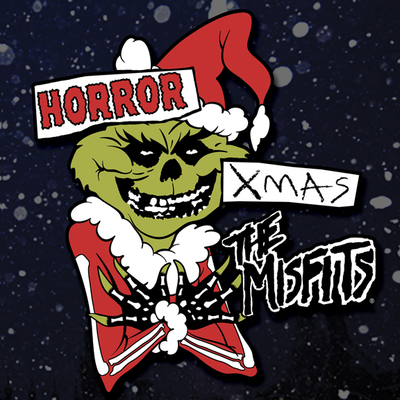 Limited to 150 pcs worldwide, the edition was not sold in stores and available only from Misfits Records Online. Coinciding with the 2016 online exclusive edition, the “Land” 12-inch also returned to record shops worldwide, for a limited time, in a new retail exclusive pressing limited to 400 pcs on Opaque Deep Purple Marbled Vinyl. Pick your favorite, or collect them all! 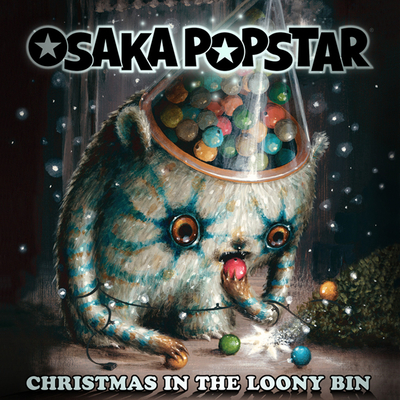 Digital download of both tracks are available at iTunes, Amazon, and other digital music providers worldwide.